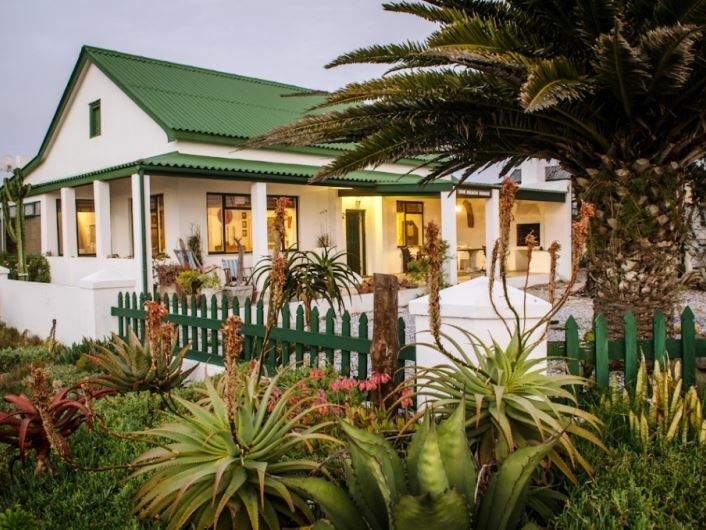 The Beach House is a luxurious 1870s historical home that promises a unique stay in the picturesque town of Port Nolloth, which is known for its pristine beaches and fishing and diamond harbour.The Beachhouse offers guests a choice of two separate units; the House and the Cottage. Both of the units are equipped with full DStv and Wi-Fi. 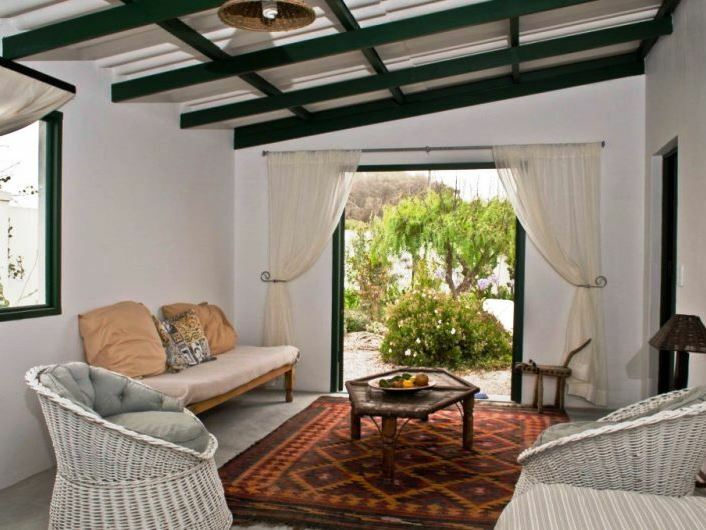 The House is furnished in a combination of modern and antique with three comfortable bedrooms. 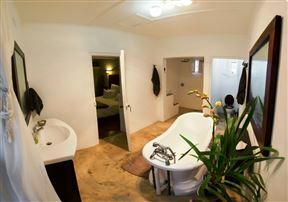 The main bedroom is furnished with a king-size bed with an en-suite slipper bath and shower, both enjoying a sea view. 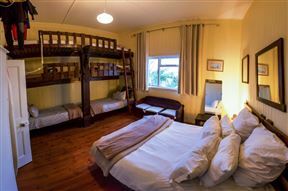 The second bedroom is the family room which is furnished with a double bed as well two triple bunk beds. The third, spacious bedroom has a double bed. 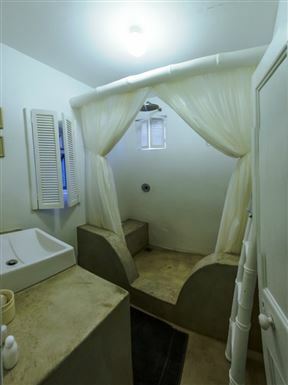 The two rooms share the use of bathroom with a double shower and toilet. 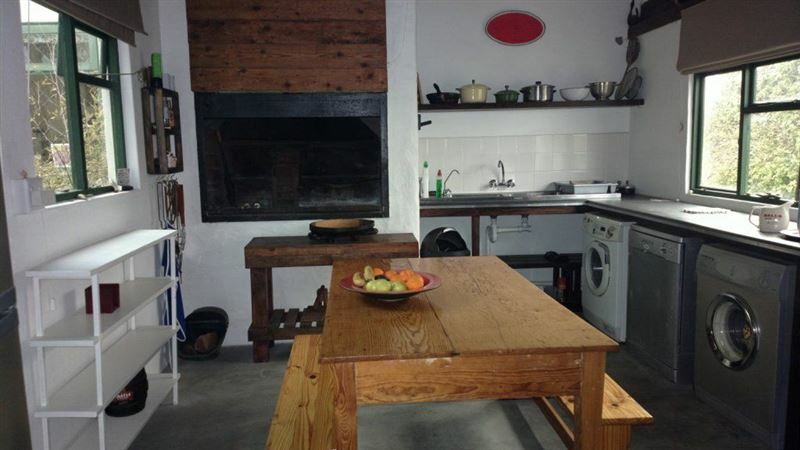 The large kitchen is fully equipped with filtered water, a gas stove with electric oven, a microwave and a table that seats eight people. 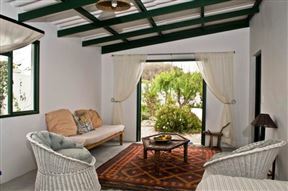 The separate scullery is furnished with a washing machine, a dishwasher and a double door fridge-freezer. The lounge contains big couches and enjoys a stunning sea view. Walking through antique double doors, you enter a dining room seating twelve. 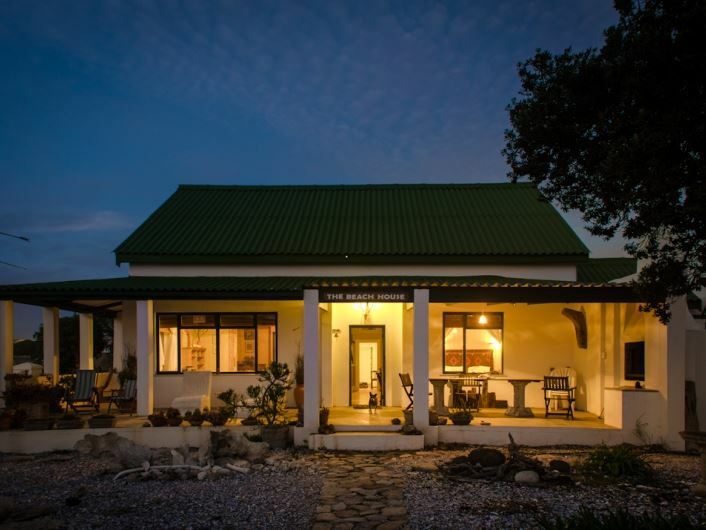 With its unique position and wrap-around veranda and built-in braai area, the home offers panoramic 180 degree views of the harbour and beaches. 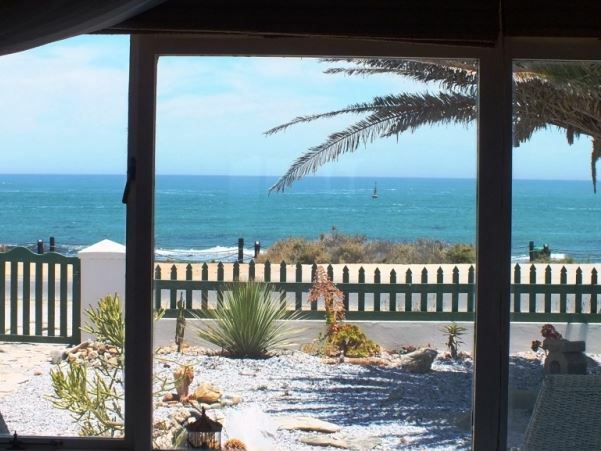 The Cottage does not have sea-views since it&apos;s situated behind The Beachhouse. 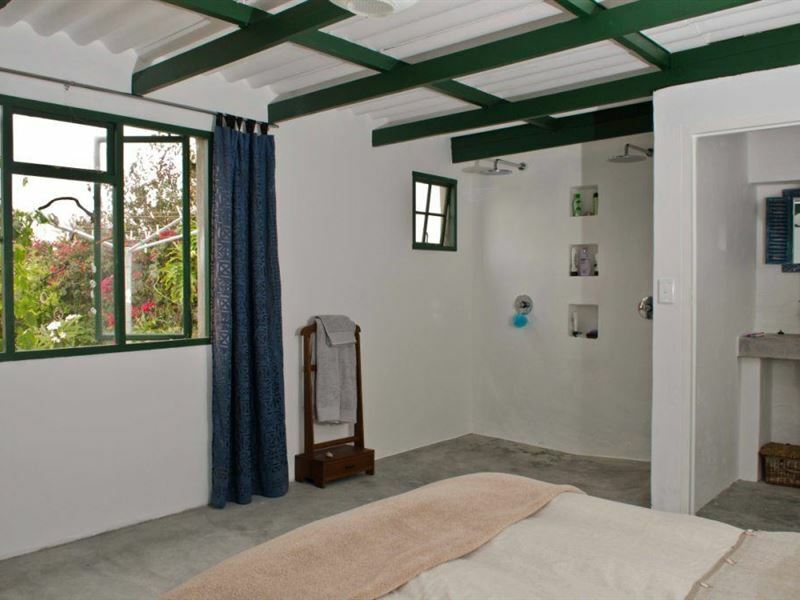 The Cottage has an en-suite bedroom looking out on the garden and is furnished with a double bed. The bathroom consists of dual showers and a separate toilet. 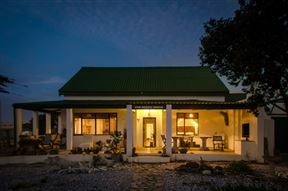 The kitchen has a built-in braai and is fully equipped with a four-plate stove and oven and a fridge-freezer. It also has a dining room table that seats four people. 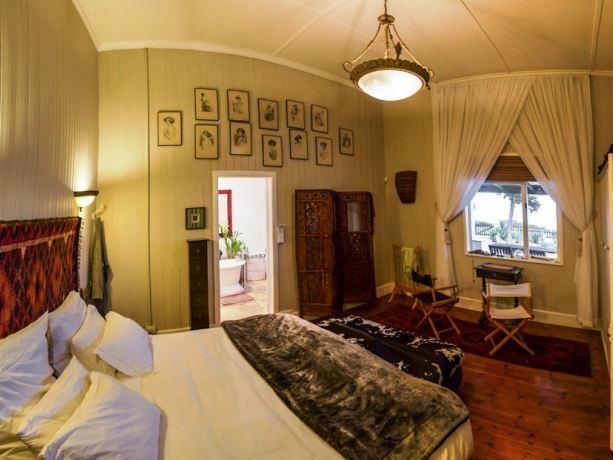 The spacious lounge has comfortable arm chairs and couch which can be made into a king-size bed or two single beds. Double doors open onto a private garden. Garage and on-site laundry available . 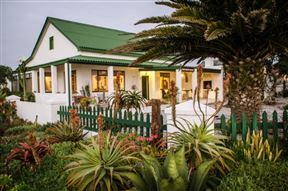 The Cottage sleeps two people or a family of four as it only has one en-suite bathroom. 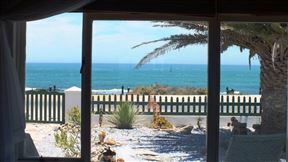 The Cottage has a minimum stay of three nights unless booked in conjunction with the House.Children from the age of 3 - 10 will receive a 33% discount. 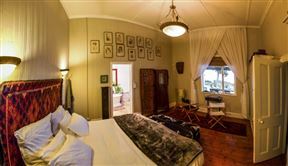 Comfortably furnished with three bedrooms, the main en-suite bedroom is furnished with a king-size bed and has a slipper bath. 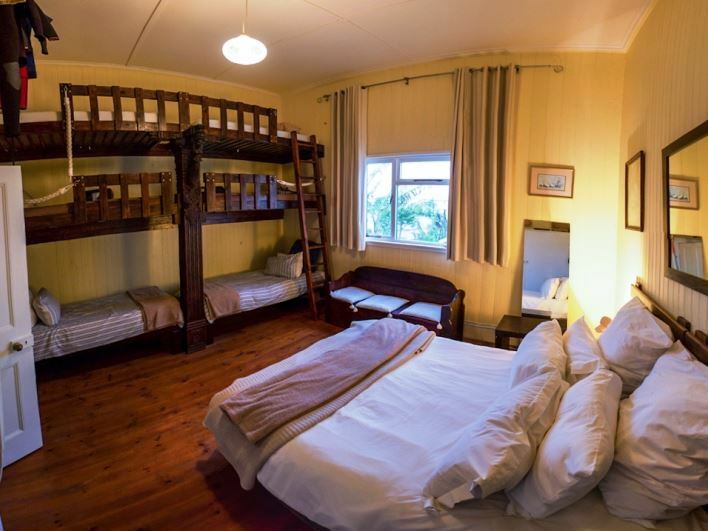 The second bedroom is furnished with a double bed as well two triple bunk beds and the third with a double bed. 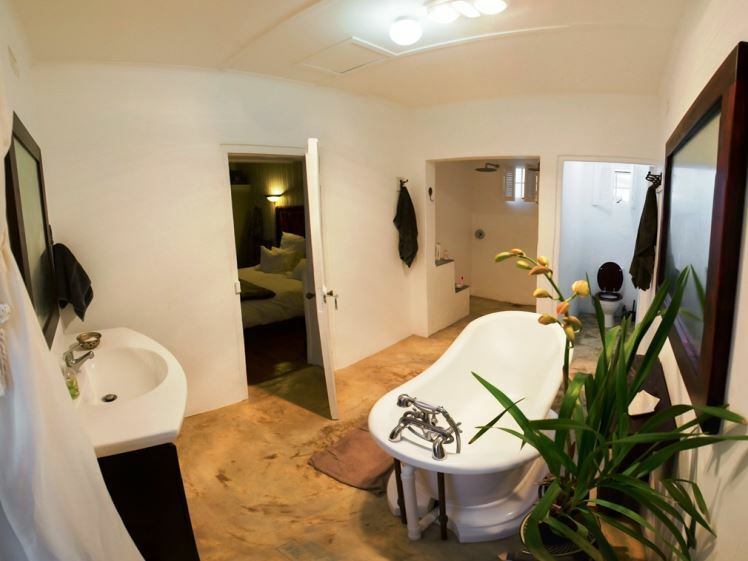 Offering one bedroom, the room is furnished with a double bed and has an open-plan en-suite bathroom with dual showers and separate toilet. 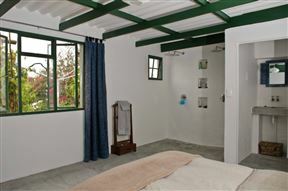 The Cottage sleeps two people or a family of four as it only has one en-suite bathroom.